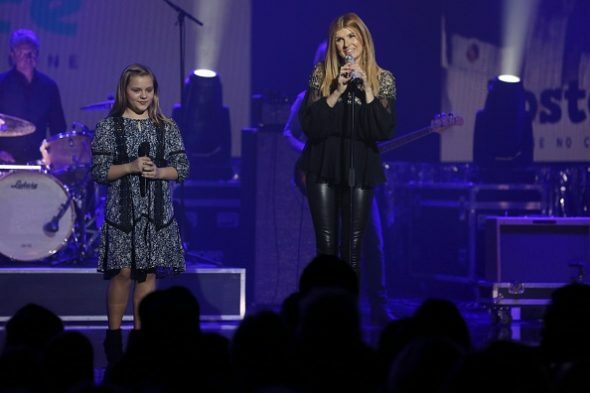 Nashville ABC TV show: would you watch season 5? Recently, ABC cancelled their beloved Wednesday night TV show, Nashville. While there won’t be a fifth season on the alphabet network, the series may not be over yet. The Nashville TV show follows the lives and careers of country music superstars Juliette Barnes (Hayden Panettiere) and Rayna Jaymes (Connie Britton). The rest of the cast includes Charles Esten, Clare Bowen, Eric Close, Jonathan Jackson, Chris Carmack, Lennon Stella, Sam Palladio, Maisy Stella, Will Chase, and Oliver Hudson. Following the cancellation news, Lionsgate TV has reportedly been shopping Nashville to other channels in hopes of continuing the series for a fifth season. While the studio certainly has financial incentive to keep the show going, it may be a tough sell. The ratings have not been very good which is why ABC dropped it. The fourth season’s been averaging a 0.96 rating in the 18-49 demographic with 4.19 million viewers. Year-to-year, that’s down by 28% in the demo and down by 19% in total viewership. Also, while fans are currently clamouring for Nashville to continue (#BringBackNashville), many series that have been picked up by other channels have not done very well in their new homes. For whatever reason, many viewers just don’t follow their show to another channel. But, what do you think? Would you watch a fifth season of Nashville on another channel? Do you think viewership could improve on cable or on a streaming service? And whomever figured out the demographics is wrong!!! I am 69 and love it and I know a lot of others my age who want to see it stay on!! I love this show, one of the best on tv. I would watch a million seasons!! Please bring it back where it can be viewed without going to HBO! Frankly, I’ve never been a country music fan. But after hearing Jonathan Jackson was on the show, I knew there was a possibility it would ROCK! And it does. I started somewhere in the 3rd season and was completely addicted after one show. Damn straight I’ll follow it. I love this show, now I hear it will be on CMT, I do not have cable, now what? Is there another station it would be on? I sure hope so, the best show on TV this season. What is ABC thinking??? Would FOR SURE follow Nashville on another network—but not a streaming service. CMT is picking up Nashville.. They said they will love having such a great show on their line-up.. The only show on TV right now that has such great acting and talent and story line and you remove it?? Oh, by all means, lets keep on the Bachelor because that’s worthy…said no one EVER!!! I would watch if ANYWHERE! I LOVE the show and ALL the characters!!!!!! Please please figure something out!!!! The music, the story lines and the actors are all great!!!!!!! I would definitely watch Nashville on another network. Love the music and actors. I thought this season was one of the best!! Besides, we need to see Juliette finally settle down and be happy! !